Taking good care of your feet becomes more important as you get older. Age tends to exacerbate foot issues, with many people over the age of 65 reportedly suffering from foot pain. Another common issue among the elderly is diabetes. Diabetes causes neuropathy, or nerve loss, in the lower body, especially in the feet. Diabetics suffer from poor blood circulation in the legs and feet as well. This means that if a diabetic sustains a wound, they may not realize it due to loss of sensation, and the wound may not heal properly. In severe cases, amputation may be necessary if the infection significantly worsens. 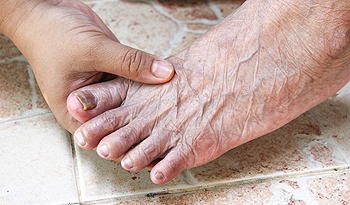 Because of this, elderly diabetics need to take extra care of their feet, though most elderly people will also benefit from practicing good foot health. Good foot health strategies include daily foot inspections for any abnormalities, washing and drying the feet, keeping one's diabetes in check, and wearing quality socks and footwear that will protect the feet and provide ample foot support. Finally, performing a check-up with a podiatrist yearly is also recommended. Proper foot care is something many older adults forget to consider. If you have any concerns about your feet and ankles, contact Dr. Dean D. Hinners from Illinois. Our doctor can provide the care you need to keep you pain-free and on your feet. Avoiding injuries when running is important and can make your running experience more enjoyable. For new runners, start slowly and avoid pushing yourself too hard; the key is to gradually build yourself up. Before and after a run, stretch to loosen muscles and prevent strain. Strength training can also build muscle and durability; just be sure to rest one day before running or training again. A sign that you may be pushing yourself too much is if you cannot talk in complete sentences when running; if so, you may want to slow down. 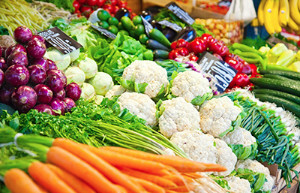 Keeping a good diet to replace lost calories and vitamins, hydrating plenty, and getting enough sleep will keep your body from quickly getting fatigued. If you do feel pain, stop running. If the pain resides in your feet, take it easy and rest. If the pain doesn’t go away, you may want to see a podiatrist for a diagnosis. Exercising your feet regularly with the proper foot wear is a great way to prevent injuries. If you have any concerns about your feet, contact Dr. Dean D. Hinners of Illinois. Our doctor will treat your foot and ankle needs. Many people will develop either a corn or callus on their foot at some point in their lives; but what are they? Corns and calluses are areas where the skin has thickened due to constant friction on the area. Corns are smaller and harder than calluses and usually develop on the toes. Calluses, meanwhile, are not usually painful compared to corns and usually occur on the bottom of the foot. Typically, either will go away if the source of friction is taken away. There are some at-home treatments that may help; however, you should consult a podiatrist first to see if they will be effective and appropriate for you. Soaking your feet can soften corns and calluses, as can moisturizers. Over-the-counter pads can help remove both but require caution in their use, as some pads contain salicylic acid—which should be avoided. Finally, one of the most important ways to prevent corns and calluses is to wear fitted and comfortable shoes that prevent friction against the area. When buying shoes for children, comfort is more important than fashion. Things to look for include foot room, foot support, cushioning, breathability, and flexibility. 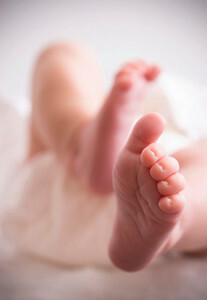 Children should be able to wiggle their toes, but not too much that the shoe shifts around. Shoes should also provide proper foot support and cushioning so that the feet remain comfortable for hours. Breathability is also important and can help keep the feet from sweating too much. Finally, flexibility is essential because children move around a lot, and the shoes they wear must be able to handle their movement. Parents are also advised to examine their children’s shoes every few months to see if they still fit properly. Making sure that your children maintain good foot health is very important as they grow. If you have any questions, contact Dr. Dean D. Hinners of Illinois. Our doctor can provide the care you need to keep you pain-free and on your feet. Tarsal tunnel syndrome, similar to carpal tunnel in the wrist, is caused by pressure on the tibial nerve in the tarsal tunnel. The tarsal tunnel, located in the ankle and the foot, contains tendons and the tibial nerve. This can create burning, aching, and other painful sensations. Causes of tarsal tunnel syndrome include athletic activity, exercise, and sometimes even flat feet. Tarsal tunnel syndrome can be diagnosed by a podiatrist, who can offer a number of treatments to relieve your pain. It is best to seek out a podiatrist soon, for the longer the nerve is under pressure, the more likely it will take longer and be harder to heal. Gout is a foot condition that requires certain treatment and care. If you are seeking treatment, contact Dr. Dean D. Hinners from Illinois. Our doctor will treat your foot and ankle needs. Everyday foot care is very important to prevent infection and other foot ailments. If you need your feet checked, contact Dr. Dean D. Hinners from Illinois. Our doctor can provide the care you need to keep you pain-free and on your feet. While flip-flops may be convenient to wear around the pool and locker rooms, they should not be worn for long periods of time. The only benefit that these shoes provide is that they can help protect you from infection, but they tend to do more harm than good for your feet. Typically, flip-flops fail to provide your feet with arch support, which may cause your natural foot arch to collapse. As a result, other parts of your body, such as your hip and back, may be disrupted. Nevertheless, the key to wearing flip-flops is moderation. It is crucial that you only wear these shoes for short periods of time in order to prevent long-term damage to your feet. Orlando City cornerback Tommy Redding recently went to receive a PRP treatment for his plantar fasciitis pain. The treatment is performed by taking the patient’s blood and then separating the platelets using a centrifuge. The platelet rich plasma (PRP), which contains growth factors that expedite the body’s healing process, are injected into the patient’s body at the injured area. Less than a week after receiving the treatment, Redding said that he was feeling well and that he had no more pain. Ankle sprains are common, but need immediate attention. If you need your feet checked, contact Dr. Dean D. Hinners from Illinois. Our doctor can provide the care you need to keep you pain-free and on your feet. It is no secret that the root cause of blisters is increased friction, but it is important to know what is causing the friction. It has been found that the four main causes of friction on the feet are: shoes, socks, sweat, and restricted foot motion. Shoes that squeeze the toes together have the power to increase the amount of friction between the toes, which may result in blisters. According to a study involving military personnel, low friction insoles have been found to reduce blister development. A similar study has shown that wearing double layer socks prevented the military personnel from getting blisters as well. Blisters are prone to making everyday activities extremely uncomfortable. If your feet are hurting, contact Dr. Dean D. Hinners of Illinois. Our doctor can provide the care you need to keep you pain-free and on your feet. Almost every woman is guilty of owning a pair of high heels. While there are a few pros that come along with wearing heels, the amount of cons outweighs them. One of the common issues with high heels is the pain they cause to those who wear them. The worst pain tends to occur at the ball of the foot, since this is the part that is experiencing the most pressure. Additionally, it is hard for women to find their balance while wearing heels. This can lead to some dangerous injuries while wearing them. Another problem that stems from heels is the fact that they force your toes into an unnatural position. This shifting movement has the potential to cause pain in your toes and calluses. Cracked heels can affect anyone of any age, and they are caused by a lack of moisture. Thankfully, at-home remedies may be performed in order to rid yourself of this unsightly condition. Prior to treating your cracked heels, it is crucial that you are aware of what may be causing them. Cold weather, harsh soaps, standing for long hours, and improper footwear have all been linked as causes of cracked heels. A simple treatment you can try for cracked feet is to soak them in warm soapy water for twenty minutes at night. Afterwards, try using a pumice stone to scrape off any dead skin you may have. You should then rinse your feet, and carefully dry them with a towel. Lastly, moisturize them with a foot cream and wear a pair of socks overnight in order to trap in the moisture. If you have a more severe case of cracked heels, you should not hesitate to seek help from a podiatrist. Cracked heels are unsightly and can cause further damage to your shoes and feet. If you have any concerns, contact Dr. Dean D. Hinners from Illinois. Our doctor can provide the care you need to keep you pain-free and on your feet. Sesamoiditis is a condition that involves inflammation of the sesamoid bones in the feet. People who partake in physical activities that put stress on the toe-end of the foot are at a higher risk of developing sesamoiditis. The condition may also be caused by wearing improper footwear like high heels. The primary symptoms of sesamoiditis are pain and inflammation in the feet, and there usually aren’t any visual signs of the condition. Physical therapy is usually the first step in the route to treating sesamoiditis, and it is important that the patient does not put their feet under a lot of stress during the process.